We request your support in terms of Funds as Master. 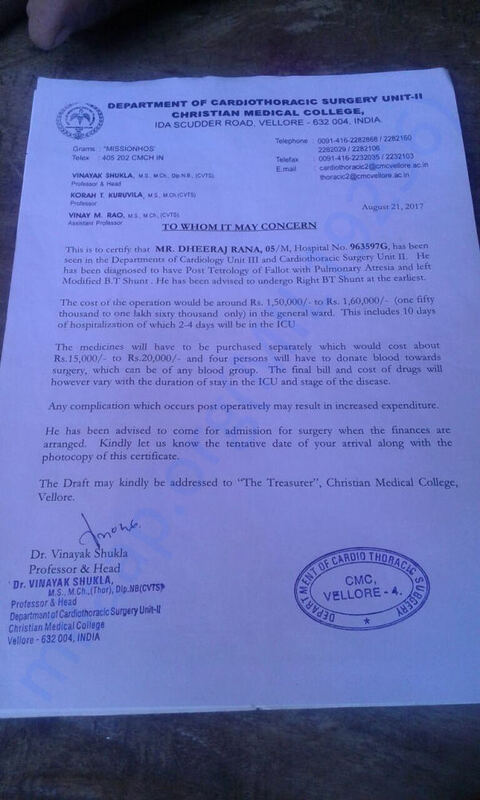 Dheeraj Rana S/o Mr. Anil Rana from Telaiya has to undergo Right Side BT Stunt Surgery which will approximately within next 1 month at CMC Hospital Vellore which will approximately cost Rs.1.8 Lacs . 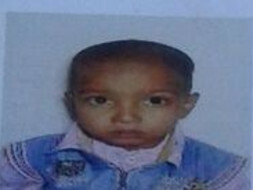 Since the family comes from lower background & financial support is not stable , We sincerely request Donors Support for the Surgery & save a Child's life . Look forward sincere support at the earliest . U r in my prayers. In sha Allah u feel better soon.